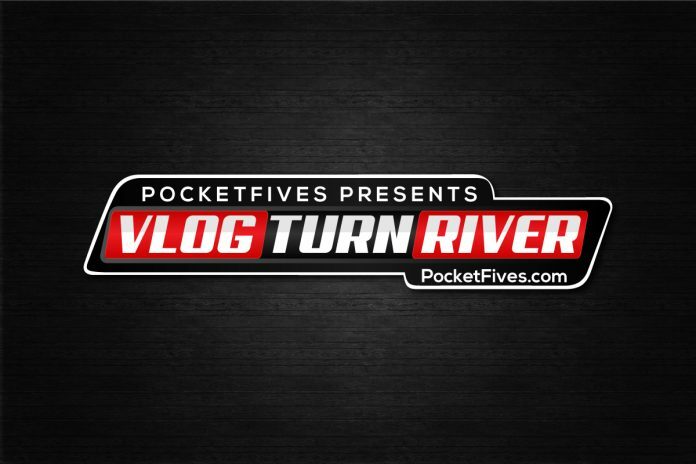 Starting your own poker vlog sounds easy - and it can be - but here's a primer on the basics. Let’s say that after seeing a few of the latest wave of poker vlogs you’re thinking to yourself, “Hey, I can do that!” Indeed you can and we’re here to help. Before you rack up thousands of views and spend hundreds of hours editing, you’d better take a look at some of the basics of what it’s going to take to catapult you to becoming the next vlogging sensation. This is obvious, right? You need a camera to record your adventures and poker musings. But what kind? Practically everyone nowadays has a camera in their pocket (on their smartphone) but is that good enough? “Smartphone cameras are great. So you can get started using your smartphone. The one thing that you will quickly hit is that the low light sensors on smartphones are horrible. Since most people play during the night, getting shots outside of you talking to the camera would be very hard.” says Jaman Burton, created of the poker vlog The Drawing Dead. So clearly, one not only can use their smartphone, they may really need one to get those close-to-the-table shots. But what about when you want to “up your game” and get some really good looking shots? One of the most prolific poker vloggers, Andrew Neeme, understands that sometimes it’s not the camera but what you do with it. “Your phone can do the trick. Having some proper equipment is beneficial to the viewer’s experience, but what’s even more beneficial is being entertaining, providing useful information, or telling a good story,” Neeme says. But if you do want to get a fancy camera, it’s not going to break the bank necessarily. “The camera that I use, Trooper (Tim Watts) uses, Andrew uses, Johnny Vibes uses…it’s like $500 at Best Buy. So it’s not super expensive, that’s not where the big cost is,” Burton says. When you do get that fancy camera, don’t forget a handheld tripod! Now that you have your camera, it’s time to record. Plot out a little about what you want to talk about and show. Is it going to be random thoughts, your daily routine or a poker session? Put some thought in ahead of time to what you’d like the finished product to look like (even if it turns out differently) so when you shoot, the editing process won’t be so difficult. * Sound – not all cameras have amazing built-in mics. You may need an external audio source (during his intros and exits vlogger Brad Owen uses a Blue Yeti USB external mic). Also, make sure the environment is conducive to picking up your voice. There’s a reason some vloggers wrap up their sessions in their cars as opposed to standing outside in the wind. One trick many vloggers use is to record video with their nice camera while recording the audio on their phone and then sync it up in post-production. * Authenticity – You don’t need to be completely authentic, but it sure helps. Yes, there are “personalities” who vlog and they can be a fun watch, but the rising stars in the genre seemingly have an honest approach both in how they conduct themselves as well as their sessions. Something to consider before you put yourself out there. That was fun, right? You put in a winning session and talked about how good the Forester pizza is at the Aria and you can’t wait for people to check it out. Well, there’s a good deal of work still ahead. You need to edit all the footage together, find some music, sync it with your audio and add whatever graphics you may want. Here comes some serious time commitment. First, you’re going to need a video editor to dump the footage in. There’s a few to choose from including the basic iMovie to some more advanced options like Final Cut Pro X and Adobe Premiere. “I probably do things the most basic way out of all the vloggers. I do everything on iMovie and I spent about two hours looking at tutorials before I made my first one. Which is not really very much time at all…and I think that it shows,” says vlogger Brad Owen. There’s a lot to learn but don’t let that deter you, there’s plenty of help available out there. “I’m using Adobe Premiere Pro which has been pretty solid. There are tons of features that I’ll likely never know how to use. The basics took me a couple days to figure out. There is a YouTube video out there for every question one has, whether it’s about video editing, gardening, auto maintenance…,” says Neeme. You’ve done it, after hours of filming, editing, placing overlays and choosing the right music you’re ready for everyone to see it. Well, you’ve got upload it to a video hosting platform and it’s no secret that YouTube is the king of online content. Sure, you could use Vimeo or go direct to Facebook, but in general, YouTube is easily the platform that gives you the most linkable, shareable bang for your time (not buck, because it’s free). There it is. Your first vlog in all its glory. Tens of hours of hard work and currently 13 views, 10 of which were you checking it out on different computers in different browsers making sure it looks as good as you think. Time to get the word out and promote your latest film. So what’s the best way to grow your fledgling channel? For Brad Owen, he puts himself out there on-screen and lets word of mouth do the rest. Vlog one is in the books. What’s next? Keep working on it and perfecting your vision. In time, your audience will come. By all accounts, vlogging is very hard, but rewarding, work so perhaps the most basic tip of the “Basic of Vlogging” is to remember to have fun while you’re doing it.